This simple and elegant design adds another layer of sophistication to any ensemble. 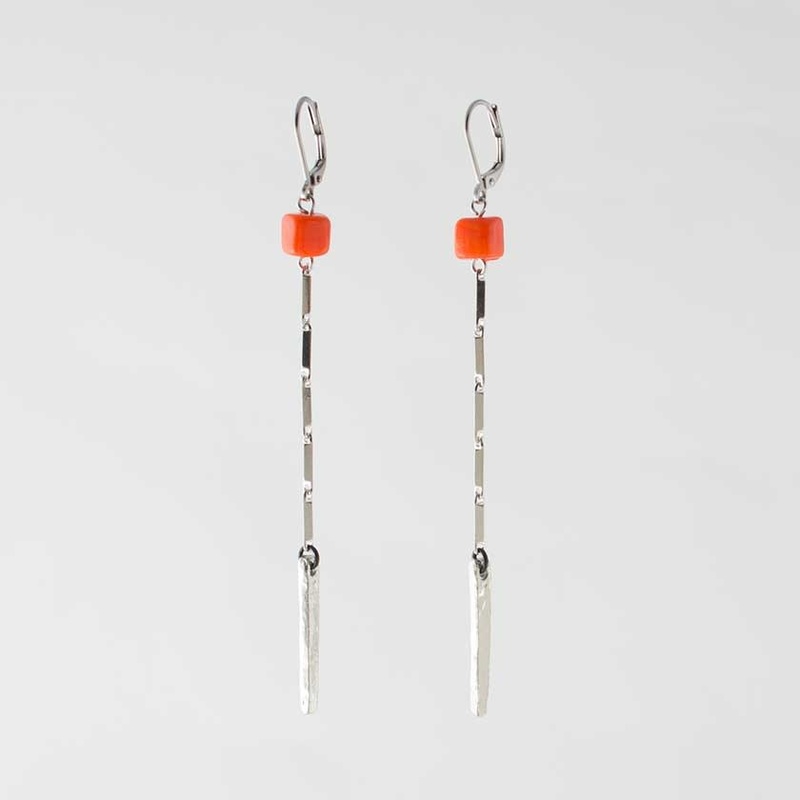 Elongated gold and silvery pewter earrings release from gorgeous glass beads, which lend a marbleized milky or brilliantly hued accent to the look. 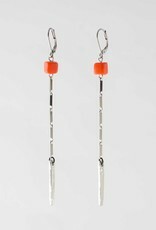 Material : pewter, glass, rhodium-plated chain, epdm rubber.